For boarding services, since I board at my home, I am able to serve a much broader area. 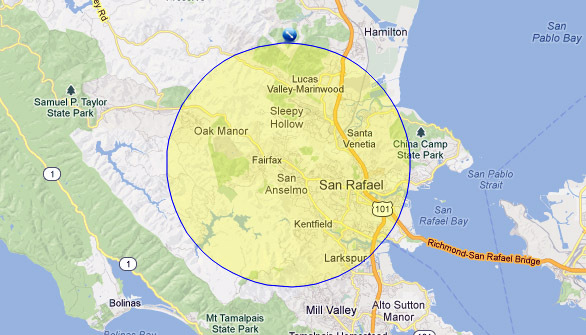 If you live outside Central Marin, I can still provide boarding if you will meet me in Fairfax, San Anselmo, San Rafael, or one of the other cities listed above to bring and pick up your pet. Copyright © 2009 - 2018 A Happy Cat & Dog Pet Sitting Services of Marin. All rights reserved.